Chemical installations, whether BRL-K903 certified or otherwise, must be maintained in a safe and reliable manner. Organisations that operate chemical installations are obliged to carry out maintenance in compliance with the regulations. Furthermore, regular preventive maintenance by professionals helps to realise a safe and reliable installation and ensures that business operations are hindered as infrequently as possible. At the same time, it extends the lifespan of chemical installations. These inspections must be conducted by a BRL-accredited installer. 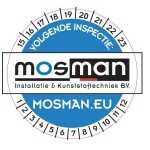 As a BRL-accredited installation company, Mosman recommends the agreement of a maintenance contract that covers all mandatory items.